My number one go-to for anything skincare related, Caroline Hirons has started a series of posts busting some beauty-related myths we call all benefit from reading. Give them a read, they will not disappoint, and even the savviest, wisest of beauty moguls will learn something, I promise. Caroline's wizard-like skincare skills played a big part in my first Beauty FAQs post last week, and I'm positive she will in the second part, too; keep a look out for that over the next few weeks! I'll be honest, when it was first announced that Vice were teaming up with Mind for this two week editorial project, I was more excited than I was by the outcome. I thought the project had a great deal of potential, and perhaps fell a bit short in terms of the variety of content they produced; there needed to have been more articles surrounding the more everyday experiences of mental health, if you ask me, and not just the extremes. That said, the extremes are very real, and very common, too, and there's some great reads here (try this one and this one, in particular). Plus, opening up the mental health conversation on such a popular site can only be a good thing for destigmatisation. My love for Corina Nika was founded about a year ago when I stumbled across a free desktop download of hers via Pinterest. Since then, I head over to her site every few days to get inspired, and unashamedly bought my favourite ASOS shirt after seeing this post (I now own it in black, too; should I be embarrassed? Probably). Anyway, I digress... The Freelance Life is an amazing series for creatives and aspiring/newbie freelancers, where Corina consistently inspires and excites, whilst occasionally giving more general advice like in this post, which I highly recommend you read for a bit of a boost this weekend. While you're there, check out the whole TFL series - so worth a read if you're a blogger or creative. 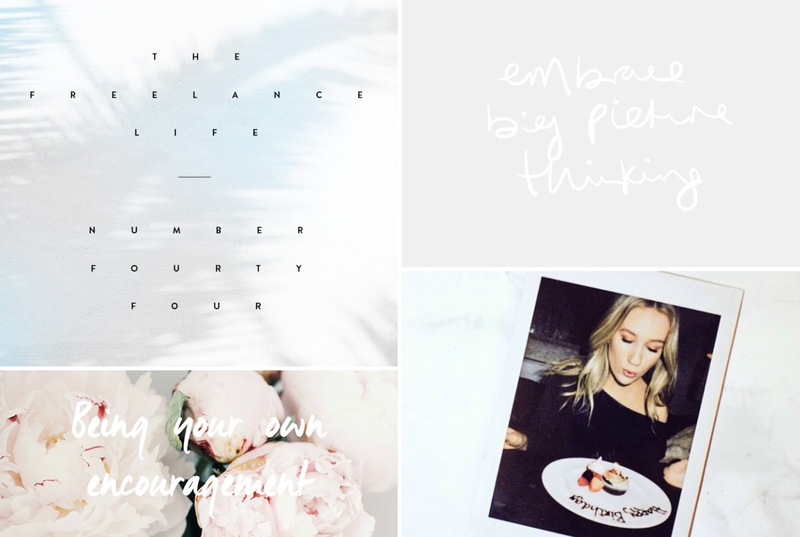 This is probably about the third time I've included Rebecca's lovely blog on here now, but for good reason: she posts a perfect mix of style and beauty tips, lifestyle and motivational advice and inspiration. This post in particular is a necessary reminder to love and encourage yourself without projecting other people's doubts onto yourself; be your own biggest fan. I read this article in the middle of the night a few days ago, when I was feeling depressed and tired with the world. It helped me find my spark again, and that's so huge for me. Feeling uninspired, demotivated, trapped or suffocated? Read it. When you let go of other people’s preconceived notions of your life and focus on your truth – whatever that may be – your life becomes sweeter and fuller than ever before. You must learn how to feed yourself, you must learn how to pay your bills, yes, but after that the world opens up. You know there’s something else out there for you and you know this is not the only thing you’re capable of. You own your own story. And shouldn’t you make it one of the best stories you’ve ever read?" I've read a lot of these kinds of posts. Often I find they make annoying, sweeping statements, tarring every person's experience of depression with the same, single-experience often stereotypical (sadly) brush. This one doesn't do that - in fact, it continually references how varied the illness can be in its many forms - and it's a really valuable read for that very reason. Number 4, Understand That Depression Does Not Mean 'Sadness', is such a crucial point. This is a fantastic read whether you know someone who has depression or have depression yourself (or neither of those). I was trawling through Jen's site looking at her resources and listening to her brilliant podcast, Make It Happen, and stumbled across this great piece on thinking bigger with your blog. 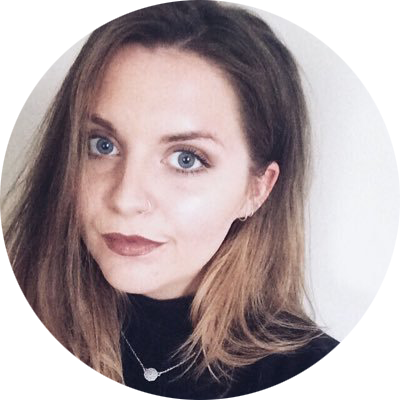 One of the best guides of its nature I've seen, Jen got me thinking about points I hadn't even considered; from taking a step back from your blog to let yourself grow to making your blog the 'hub' not the 'centre'. She also includes some valuable questions that are worth asking yourself if you're a blogger, so definitely check this one out. I love the ITG interviews: they satisfy both my nosiness and my beauty obsession simultaneously, and the photographs which complement the words are always beautiful in that signature candid ITG style. Given my (recently found) love for About Time Magazine, an interview with its beauty editor was always going to excite me, and, of course, it didn't disappoint. What noteworthy reads have you found online lately? You can read my other online read roundups here. Image sources - header images clockwise from left: Cocorrina, From Roses, Into The Gloss, Jenny Purr. Other images my own.